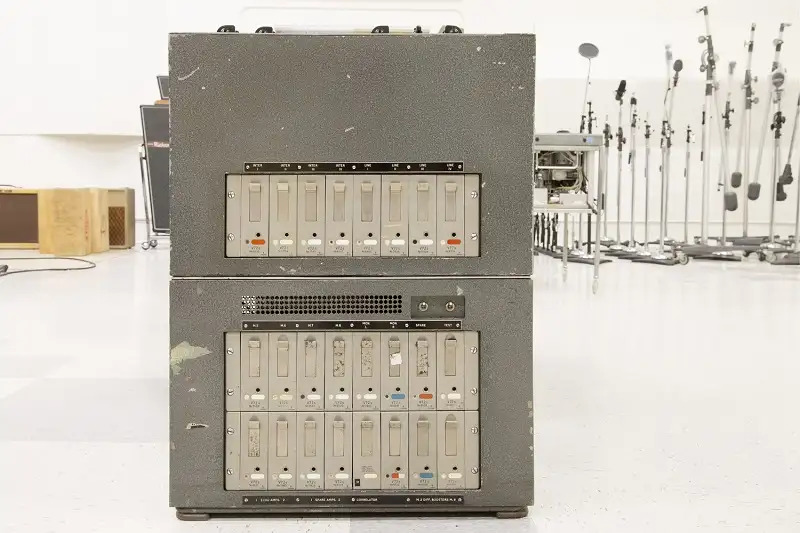 In one of the most coveted recording packages ever assembled, three incredible pieces of historic gear from the famed Abbey Road Studios have been brought together for sale. At the heart of the package is the studio’s legendary REDD.37 console (one of only three ever created), with this particular model being active in EMI Studio One and utilized on various recording sessions by The Beatles. Based on the REDD.17 built by Peter Burkowitz, the REDD.37 is a continuation of this classic technology, pushed even further by Len Page and the Record Engineering Development Department (REDD) team. The console is constructed from five individual pieces and features an upgrade in the number of tracks and channels, in addition to the use of V72s mic preamps. 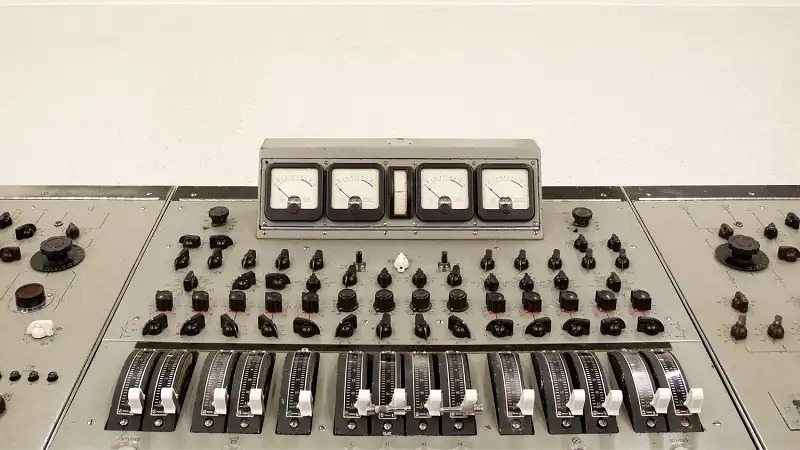 To meet the 200 ohms impedance requirement utilized by all Abbey Road gear, the desk was specifically modded to fit these preamps, which involved adding a 168 ohm internal resistor. 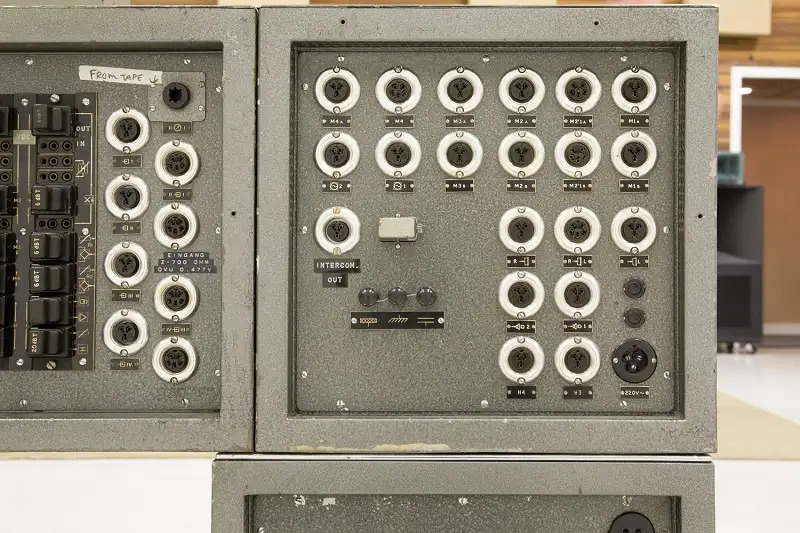 The REDD.37 console included in this package was built in December 1958, as denoted by its serial number, #58121A (58 – the year, 12- the month). After being moved into EMI Studio One at Abbey Road, the console spent the better part of the next decade in the room and was used during various Beatles sessions from Meet The Beatles through their final release, Let It Be. Since the 1990s, this REDD.37 console has been lovingly cared for by Lenny Kravitz, who has kept the desk in pristine condition. Whether you’re looking to own a piece of history or trying to capture the magic of the 1960’s London rock scene in your studio, this REDD.37 package is the ultimate combination of function, form and style. 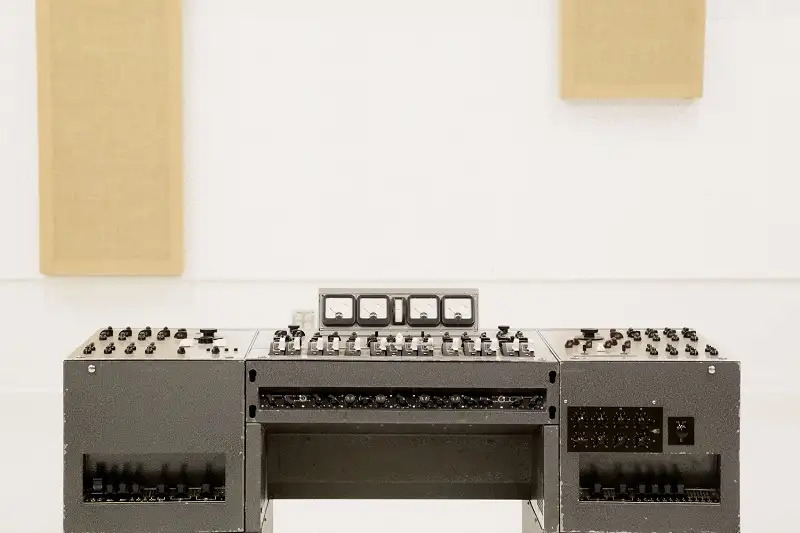 Aside from the REDD.37 console, this package also features two equally historic tape machines, including the EMI/Abbey Roads Studios No.7 Studer J37. 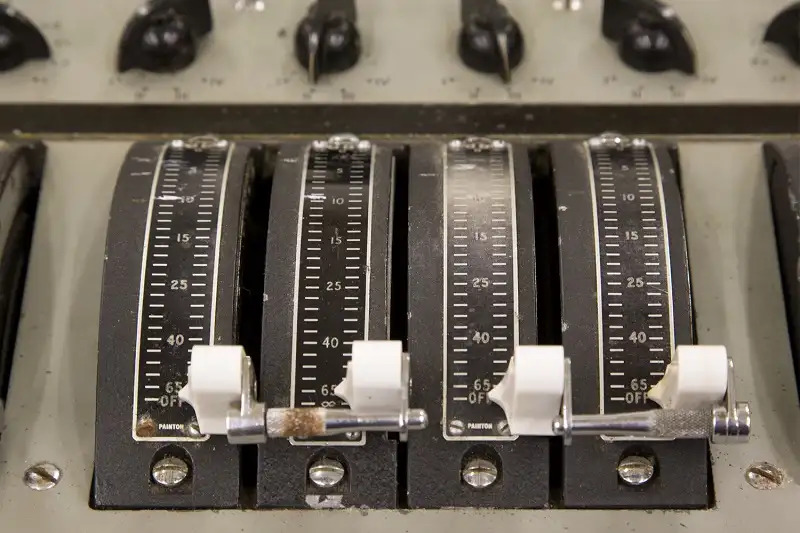 As one of only eight tape machines used at Abbey Road Studios, this piece of equipment was revolutionary, as it allowed producers and engineers to bounce tracks and pull-off accurate drop-ins while overdubbing. The Studer J37 is a four-track 1” multi-track tape machine, which records at both 7.5ips and 15ips, and features 52 tubes in its design. This make-up includes four record amplifiers, each with two ECC188 tubes, and four reproduce amplifiers, each with three ECC188s and an E283CC. The frequency response at 15ips was spec’d at 30Hz to 15kHz (+/-2dB). The second tape machine included in this package is a Studer C37, which is a two-track stereo master recorder that runs 1/4 inch tape. As the predecessor to the J37, the C37 was released in the early 1960s and maintained its status as a studio favorite until being phased out in the 1970s. This tape machine records at both 7.5ips and 15ips, features the original C37 resin-body heads, offers balanced XLR input and output, CCIR – NAB selectable equalization and modular tube electronics, with independent Dual-Mono Rec and Play boards. Hi All, So if the frequency response only goes up to 15kHz, isn't there some top end missing. Do you find Beatles recordings to be lacking top end? Anyone else want to weigh in on the limited frequency response of this system? 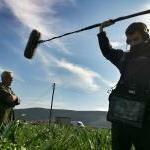 Most ppl can’t hear beyond 16kHz, and most mics didn’t go beyond that back then, so what are you missing? The parts of the cymbals that you lower or eq out in a mix? Listen to “Abbey Road” and tell me what’s sonically missing. Then tell me that you can hear those missing frequencies in Lenny Kravitz’ records. Surprise, he was the last owner of this setup! Hi Jon, I don't think anything is missing from any of the Beatles albums. I just find it odd that it was and is great for this equipment not to go above 15kHz, but yet somehow, people have claimed they are missing something important with Zaxcom, which goes 1000Hz higher than what the Beatles could record. You are drawing a wrong conclusion. There is no mention above that the equipment does not go above 15kHz. With Zaxcom however, there is a brickwall cutoff at just below 16kHz due to its sampling rate. Indeed I can see no reason to doubt the numbers mentioned. However, the listed spec is about frequency response. From that you are drawing conclusions about the frequency range. And as I said above, that’s wrong - even though both top frequencies could of course be the same. And no one shells out for a historic object like the REDD because of its freq. response. It's plenty good enough if you like the sound and want the mojo attached to it. This will probably end up in some tech millionaire's living room. Ya, but I think the answer to the freq. response question could be interesting. Is it because that was the limit of some components in the design of the board? Or was it more of a thought that nothing above 15kHz would make it onto vinyl or over the radio (or perhaps through typical home radios/stereos) so why not design the board to work with the delivery media? I have no idea. But would appreciate any thoughtful responses or semi-informed guesses. Yah. Sigh. Would be cool if it ended up somewhere like an audio equivalent of the Museum of The Moving Image in NYC. Geez, maybe even the RRHoF (not a place high on my must-see list) would be better than some private collection. I guess... we still have the music. Yeah, go make some records on the thing already! The frequency response listed above is up to 15kHz, the frequency response, as listed by Zaxcom, is 16kHz. Does this mean you are doubting the listed specs of Zaxcom? This has nothing to do with Zaxcom. The board's specs likely exceeded those of the tape recorder. The tape machines' honest specs are actually quite impressive for its vintage. 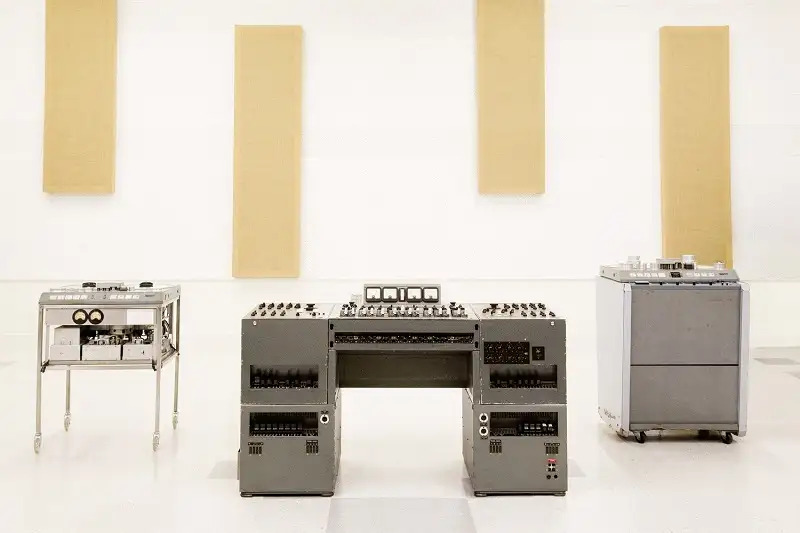 Analog tape machines are usually lined up at 100 Hz, 1KHz and 10 KHz, if those can be lined up reasonably flat then it is assumed that the machines are reasonably flat, Note that what happens outside of 100 Hz to 10KHz isn't included in this at all. Tape machines' frequency response depends, among other things, on the tape speed, in a nutshell you get better bass response at 15IPS and more high end at 30 IPS. 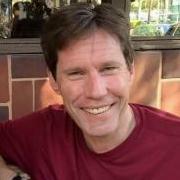 But the "Low end head bump" that all machines exhibit ,usually falls below 100Hz and it can can really mess with the low end of a mix on playback, much more so than a gentle roll off of the highs, just ask Bob Clearmountain or pretty much any engineer who cut his teeth on analog tape. The fact that this machine is spected within 2dB from 30 Hz to15 KHz is quite impressive and in addition it doesn't mean that there's nothing happening above 15KHz, it just means that it's high frequency response rolls off more than 2dB at this point, unlike the Zaxcom (or any other) digital gear where there's nothing happening above, 16KHz or 20 KHz, or whatever the cut-off is. Analog vs digital, apples and oranges. 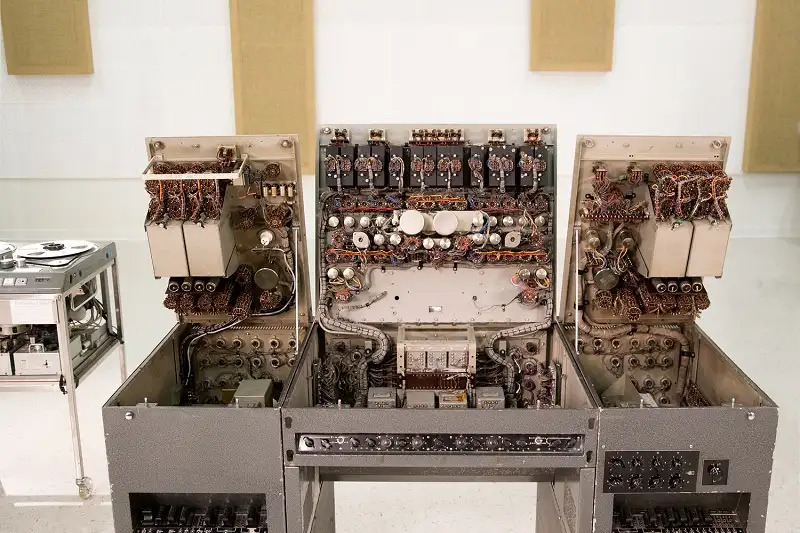 And regarding what anybody can hear, there's a famous story about Geoff Emmerick's complaint about one single channel in the custom Neve console build for George Martin, it turns out that the channel in question was oscillating at 54KHz and Geoff heard it. No. As Al said, Zaxcom’s upper frequency is dictated by the Nyquist frequency as a result of its sampling rate of 32kHz. So no frequencies higher than 16k are possible. As I also said, I am not doubting the specs above, but they state frequency response 15kHz +/-2dB. That means there will be no deviation from an even frequency response greater than 2dB up to 15kHz. That means audio above 15kHz may still be recorded, but possibly deviating further from the ideal line. Quite likely there is a roll off at 15kHz, but that means there‘d would still be a lot of audio above 15kHz. And we don’t know that, because the specs don’t say that. "The frequency response at 15ips was spec’d at 30Hz to 15kHz (+/-2dB)." Translation: From 30 Hz to 15KHz the frequency response falls within +/- 2dB of the input signal, what comes out matches what went in within +/- 2dB. Outside those frequencies the frequency response is less linear and what comes out can't match the input signal within the +/- 2dB range deemed acceptable for a professional machine but there's definitely frequencies above 15KHz being recorded and reproduced, unlike in digital where a filter with a ultra steep slope keeps everything above sample-rate divided by 2 out of the signal path to avoid aliasing.